Audi showcased its first purely electric automobile e-tron EV model. The EV crossover concept car feature 7.0-inch OLED displays, right above door the door handles inside of the doors. On October 3, Samsung Display announced that the company will be supplying its 7.0-inch AMOLED displays to Audi’s e-tron Series EV model. SDC’s OLED display features a low power, light and simple form factor, enhancing automobile design in and out. 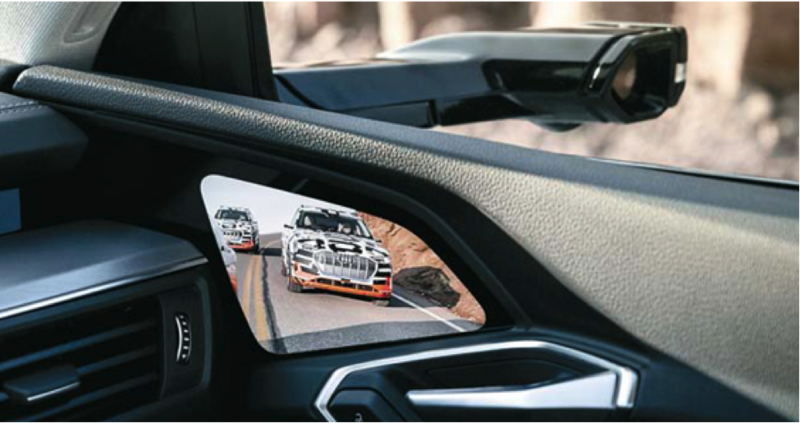 SDC has been focusing on automobile displays for the CID (center information display), S-curved CID, unbreakable steering wheel, and 3D viewing display without glasses. SDC has supplied a 5.7-inch OLED display for Audi’s A8 model for a backseat controller application in 2017. According to IHS Markit, the automobile application OLED market is $2.6M in 2018, $86M in 2020, $205.4M in 2022, $368M in 2024 and grows to be $421.2M by 2025.